Thanks Sue For This Very Uplifting Theme. Beautiful photo and words!! I'm still waiting for some sunshine rays here!! Wonderful picture and words! Like Mitch, I'm still waiting for sunshine rays. Rain has been an undesirable fellow for many weeks, already! Yes, may they! Your image is full of energy, Millie! 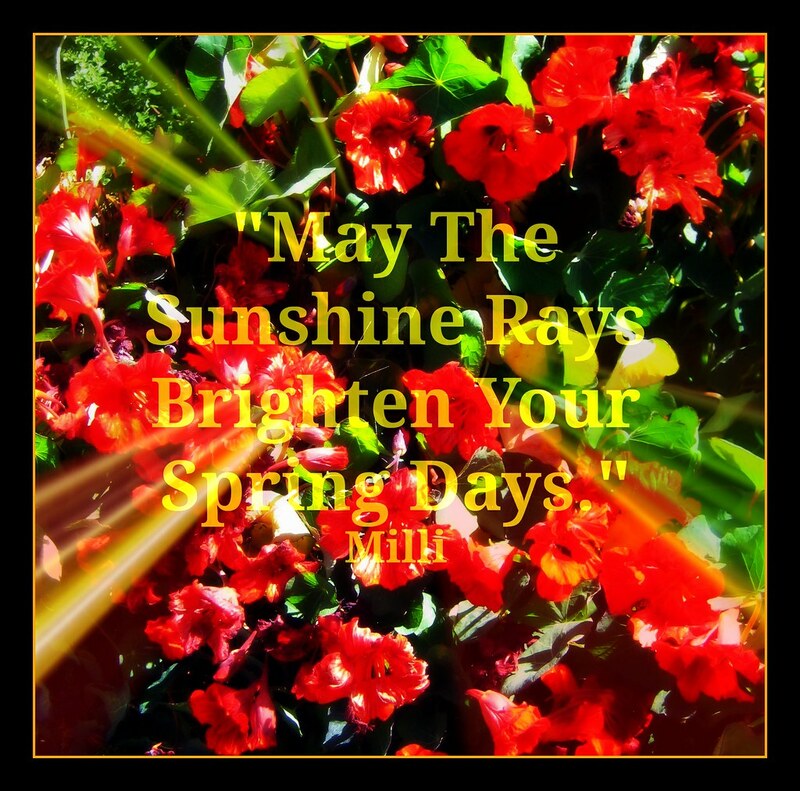 vibrantly beautiful...full of life...just as spring IS! Send those rays to the Northern Hemisphere. Lovely photo and good words.